Happier people are healthier people, says United States Surgeon General Vivek Murthy. The leading spokesperson on public health believes that, in combination with diet, exercise and preventative care, emotional well-being forms a critical fourth pillar of good health. Research backs him up. Murthy, one of the youngest Surgeon Generals in history, has made it his mandate to consider new methods and approaches to help Americans lead longer, fuller lives. This November his unorthodox approach caught the attention of the TEDMED conference, who invited the doctor to speak about the future of public health. 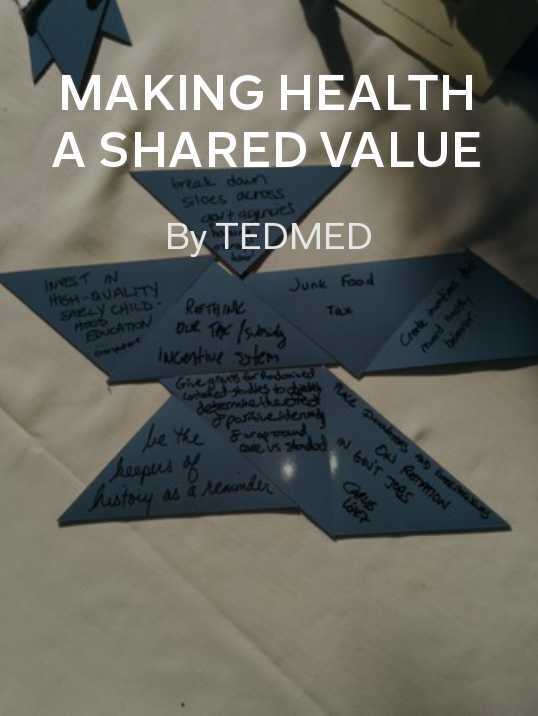 As more and more people look to the Internet for health information, such venues provide a place for credible minds to share their findings (many of which can be found in TEDMED’s magazine, Making Health a Shared Value). We spoke with Murthy about the importance of happiness, the culture of prevention and what the Surgeon General does on a day-to-day basis. When it comes to better health, we expect our surgeon generals to say, “Stop smoking! Eat better! Exercise regularly!” What we don’t expect, however, is for them to talk about happiness. Tell us about the effect of happiness on our health. That’s something I talked about during my recent TEDMED talk. When I’m talking about happiness, I’m not talking about something hedonistic. I’m talking about long-term emotional wellbeing that comes from fulfillment, purpose, social connection and love. What we know is that happier people have lower levels of cortisol, a key stress hormone. Happier people have stronger immune systems, favorable heart rates and blood pressure. When combined with things like not smoking and increased physical activity, we know that happier people live longer. There’s something about happiness that seems to be protective. One of the key messages I shared today was that happiness is not something that happens to us, but is something that we can proactively cultivate with tools: gratitude practices, meditation, social connection, even exercise. One caveat is that, while happiness is an important contributor to health, it doesn’t mean that the other traditionally important elements like nutrition and physical activity and sleep aren’t important. They are vitally important, and it’s important we look holistically. How did you come to this realization? Through my own experiences as a doctor. I’ve cared for many patients over the years, both elder and younger Americans, and one of the things I’ve seen again and again is that emotional well-being does impact how healthy people are, and how willing they are to engage in behaviors that can improve their health. The vital role of happiness is something I saw early in my career. I was intrigued and encouraged to see that we have a growing amount of scientific data that imports the impact of happiness upon our emotional health. I don’t think most Americans know what the Surgeon General does on a day-to-day basis. Could you tell us? Sure. Each day varies wildly. One of the most inspiring parts of my job is meeting people in communities to understand their challenges and what ideas they’re implementing to solve them. But my primary job is to inform the public about healthcare issues and to provide the public with the resources and information they need to make the correct choices. Have you come to any new insights or new approaches in your role? I think most people have come to recognize the importance of nutrition. However, there are several problems: many people don’t have access to healthy and affordable food in their neighborhood or workplaces. Another challenge is that we’ve created this unnecessary and false choice between healthy food and “tasty” food. Many people have been led to believe that if something is healthy, it doesn’t taste good. What we need to do is make tasty and healthy foods more accessible. There are ways of doing that at the local level. Preferences about food are shaped by people’s families and friends. I know from conversations I’ve had that when local communities undertake programs to introduce children to fruits and vegetables, it can have a real impact. Any success stories in particular? In Roanoke, Virginia, they’ve implemented the Happy Healthy Cooks program, where community members are introducing children to fruits and vegetables—not just by showing them, but by working with the kids to prepare dishes. They were able, in measurable ways, to change preferences from unhealthy to healthier foods. I was in Chicago a few weeks ago visiting a school which helped students grow fruits and vegetables right on campus. They use the produce to make food at school for other students. And I asked many of them: what has this meant for you? What was really interesting was that many kids said this helped them cultivate an interest in fruits and vegetables, which they’d take home and encourage their parents to do the same. Local programs make a big difference. What people often need is a little bit of support, direction and encouragement to create better opportunities for healthier lives. What do you consider the four pillars of health? 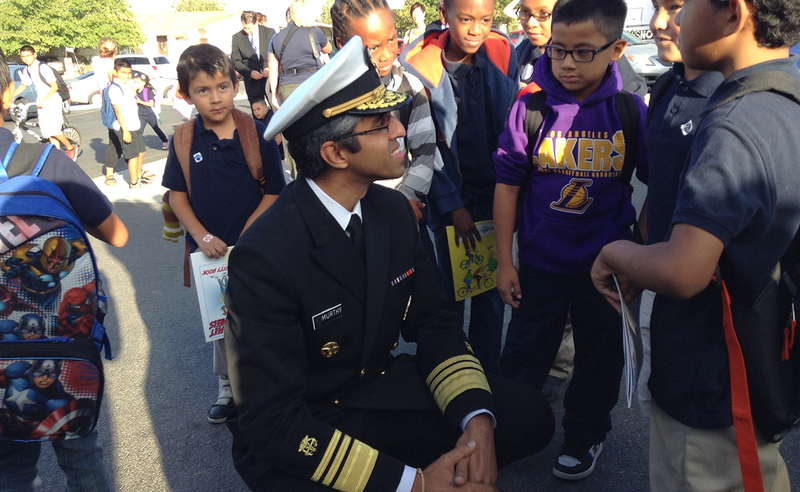 One of my most important goals as surgeon general is to help create a culture of prevention, alongside three other pillars: good nutrition, physical activity and emotional well-being. We also have to be mindful of threats to our health, like the prescription opiate epidemic we’re facing. We can’t always be in a reactive mood. We must also focus on prevention to create a healthier country. What kinds of things would you advise physicians or health practitioners do differently? Help bring patients’ attention to the importance of prevention, which seems simple. We often don’t talk about treating illnesses or issues related to smoking, for example. It’s important to talk to young people about the importance of not smoking, and we know these dangers well, but we need to keep talking about it. Each day, young children light up their first cigarette, which is a real tragedy. I remember many times being in the hospital and caring for patients who were overweight, and asking them if anyone had talked to them about losing weight. I was shocked to hear how many said no. The challenge is time. A lot of healthcare providers have very limited time to talk about things, and they have to talk about more “urgent” things first. And so this is a larger challenge we have: doctors and nurses can’t solve healthcare problems on their own and can’t build a culture of prevention on their own. What they can do is start those conversations and connect with community organizations to help patients build prevention into their lives.